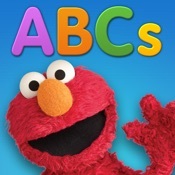 Furry, red monster Elmo uses his considerable charm to teach your kids about the ABCs. A digital lift-the-flap book where kids open doors and cabinets to help a mommy monster find her baby. Climb aboard this train made from craft materials for a joyous and inventive toddler ride. Learn and practice Spanish by creating scenes that bring language to life. Es muy divertida. Dinosaurs stomp, snort, grunt, and roar while introducing young children to comparison words.